Northwestern Medicine Endocrinology and Metabolism Center treats endocrine disorders, including thyroid, parathyroid, pituitary and adrenal gland disorders, diabetes, hyperlipidemia, and osteoporosis. Northwestern Medicine encourages you to spend time with your loved ones and friends during their hospital stay. 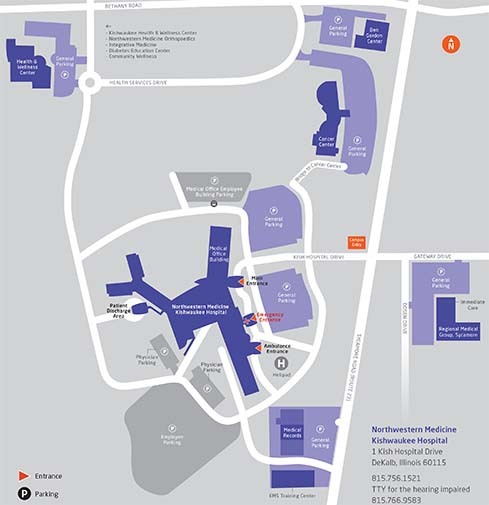 Northwestern Medicine Kishwaukee Hospital offers a wide range of information, resources and amenities to help make your experience convenient, comfortable and efficient. Download our Services and Amenities Map.